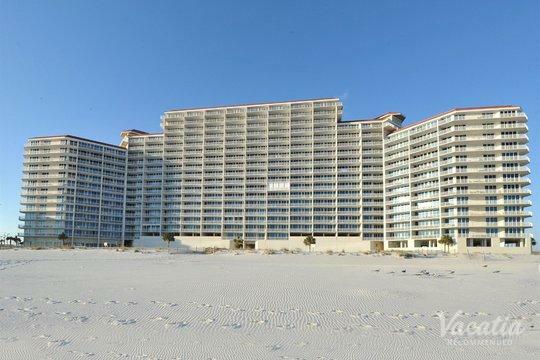 Every year, people pack their swimsuits and their beach towels and travel to a coastal oasis in Alabama called Gulf Shores. This stretch of pristine beaches and luxury resorts has beckoned tourists seeking sunshine, excitement, and relaxation for decades, and it still remains one of the most popular coastal destinations in the south. If you want to lounge on the beach and bask in the warm Gulf Coast sunshine, you should work with Vacatia to book your stay at one of the best beachfront resorts in Gulf Shores. There's no doubt that Gulf Shores' show-stopping feature is its stretch of pristine, white-sand beaches, which is why you should stay as close to the beach as possible during your time in Gulf Shores. 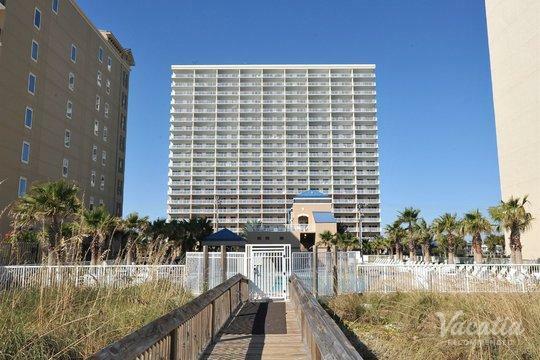 Vacatia can help you find one of the best beachfront resorts in Gulf Shores so that you make the most of your time in this coastal paradise. 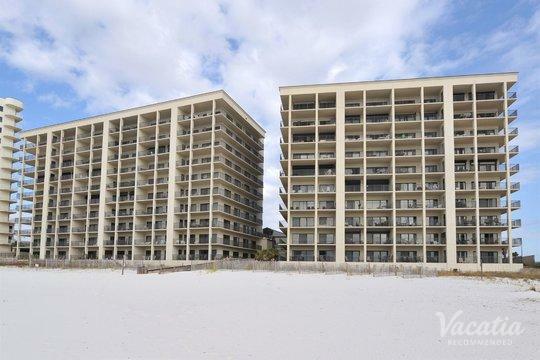 Let Vacatia help simplify your trip planning process and provide you with an exceptional selection of beach resorts in Gulf Shores so that you can have a one-of-a-kind beach getaway. Gulf Shores and Orange Beach are some of the most popular destinations in the Gulf Coast, as these picture-perfect coastal hotspots provide plenty to do and see for visitors. Whether you just want to relax on the beach or partake in some exciting water activities, there's something to keep you entertained in Gulf Shores. 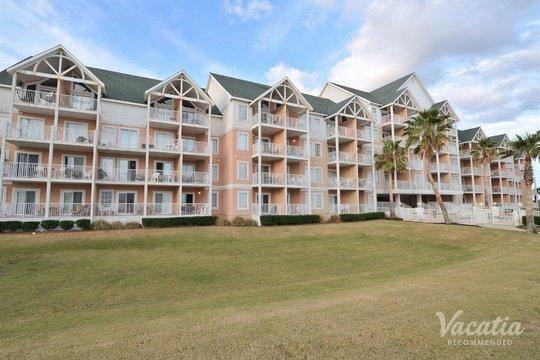 If you want to step outside your resort and feel the warm, soft sand between your toes, you should work with Vacatia to book your stay at one of the best beach resorts Gulf Shores has to offer. Vacatia's unique rental properties are considered "resort residences," as they combine the comforts and the space of a home with the luxury services and amenities of a resort. 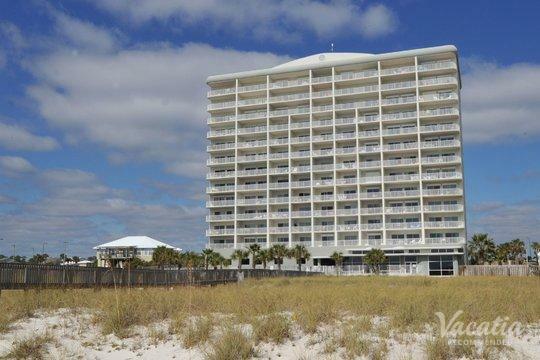 So when you stay at a beachfront Vacatia resort, you will be have access to your own fully equipped kitchen as well as the resort's best services, which is why you're sure to have an unforgettable time in Alabama's Gulf Shores. Gulf Shores, Alabama is an enviable beachside destination that boasts great fishing, a fantastic food scene, and plenty of activities to keep visitors entertained during their vacation. 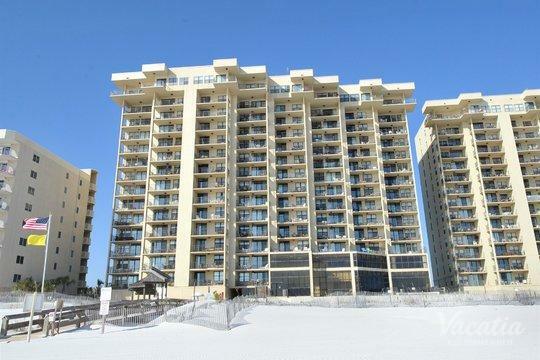 Whether you are traveling to Gulf Shores with your significant other or with your entire family, you are sure to find your own slice of beachside paradise in Gulf Shores. This beautiful beach destination is easily accessible by car and by plane, and it's just a short drive from cities like New Orleans, Jackson, and Birmingham. No matter when you decide to visit Gulf Shores, you're sure to fall immediately in love with the long stretches of picturesque beaches and the laidback beach town atmosphere. 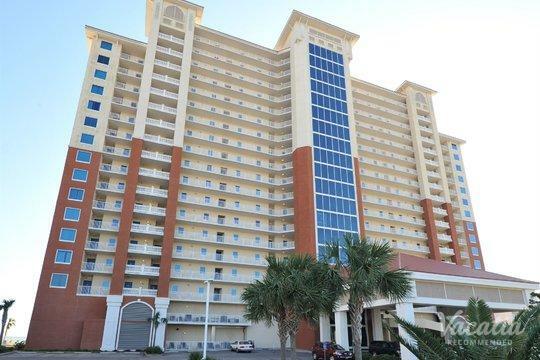 Once you've made it to Gulf Shores, you'll definitely want to make the most of your time in this coastal oasis by staying at a beachfront resort. Nothing says paradise quite like waking up to a breathtaking view of the ocean, which is why you should work with Vacatia to book your Gulf Shores accommodations.